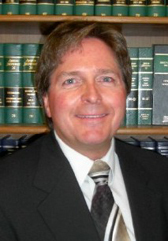 Jim Burau's practice focuses primarily on wealth preservation planning for higher net worth clients. He employs a counseling-oriented approach to ascertain the client's goals, then designs a plan which integrates the client's personal and tax-related goals with their hopes and concerns for their loved ones. To this end, he incorporates a team approach, involving the client's financial advisors in the development and implementation of the plan where appropriate. He is also committed to the funding and follow-through elements to ensure that the client's planning will achieve its intended results. protect their estates from unnecessary expenses and administrative delays. He also assists clients with real estate and commercial transactions, and the formation, administration, sale and transfer of small businesses. 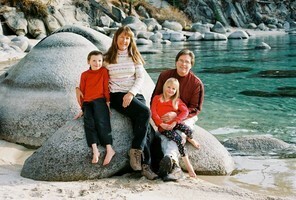 Jim and his family enjoy living in North Lake Tahoe. They have structured their lives to enjoy the multitude of recreational opportunities that abound in the area. We serve the following localities: Douglas County, Gardnerville, Genoa, Glenbrook, Minden, Storey County, Virginia City, Washoe County, Carson City, Crystal Bay, Incline Village, Reno, Spanish Springs, Sparks, Verdi, Washoe Valley, Mound House, Churchill County, Fallon, Clark County, Boulder City, Henderson, Las Vegas, Laughlin, Primm, Elko County, Elko, Humboldt County, Winnemucca, and Lyon County.